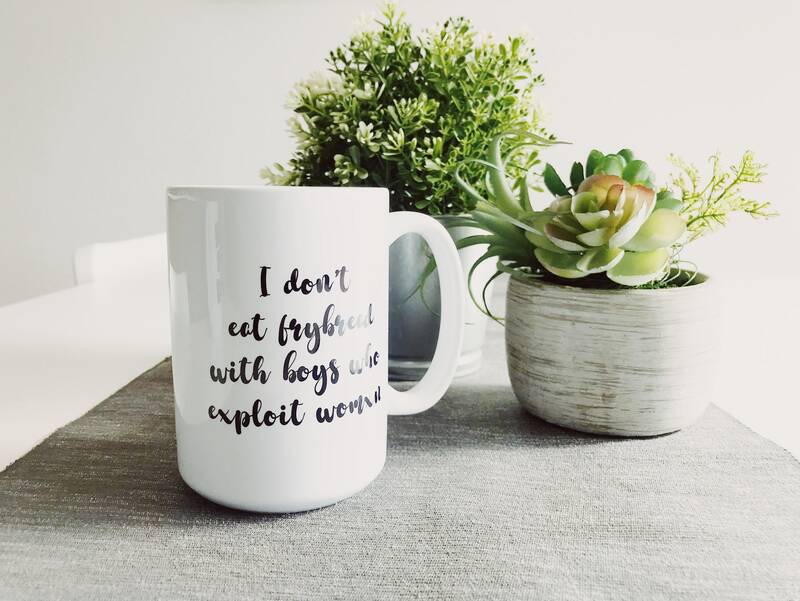 Mug says "I don't eat frybread with with boys who exploit womxn. " Makes a great gift for all the rez go-getters across the way! 15 oz Ceramic Coffee Mugs are dishwasher and microwave safe, but hand washing is recommended.